Android TV’s release was exciting. Here was a platform that was more stable than Google TV and the developer community responded in kind by developing some awesome stuff for it. A little time has passed and although the adoption rate isn’t quite there yet, the apps and games available for Android TV have only been improving. Here are the best Android TV games currently available! Please note, you’ll need a hardware controller or at least your Android TV remote for all of these! 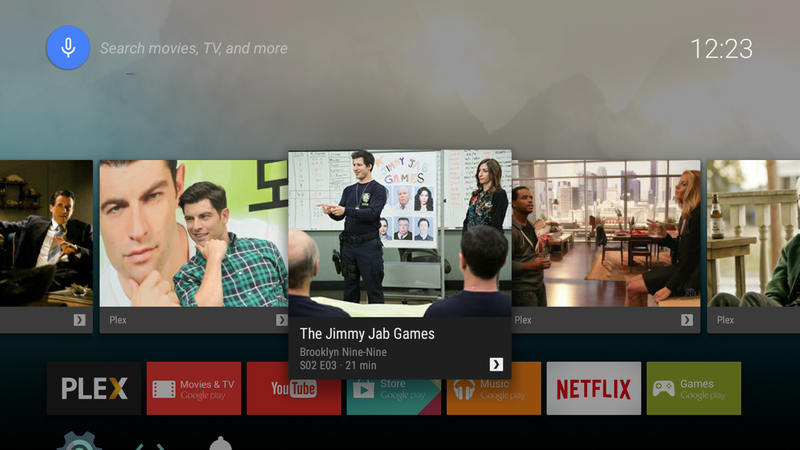 If you want to see more, you can find Google’s official list of Android TV games here. Here are some game lists you might find useful! Asphalt 8: Airborne is one of the most popular racing games in the history of mobile gaming. It also has Android TV support. Players have a metric ton of things to do. That includes unlocking cars, finishing a very long campaign mode, and compete online. It boasts hundreds and hundreds of events along with various weekly challenges and competitions. Its successor, Asphalt 9, is out now. We hope that gets Android TV support eventually as well. Crossy Road is one of the most popular arcade games in all of mobile gaming. It’s also one of the best Android TV games. It’s basically this generation’s version of Frogger. You hop across roads, streams, and other places while avoiding obstacles. You lose if you are hit by traffic, fall in water, or other similar fate. This one has both local and online multiplayer. It’s simple enough for most kids and it’s just a good time all-around. It is just an arcade game, though, so don’t expect too much more than that. Square Enix hit the mobile gaming landscape at a full sprint. They have a ton of games on Android. Some of them are even Android TV games. They include the ports of Final Fantasy III, IV, V, VI, and IX. Other parts of the series may be compatible as well. Each game features 20-30 hours of story line, multiple side quests, good soundtracks, and simple mechanics. The controller support is generally good with all of them as well. They are expensive. However, they are also among the best jRPGs on mobile. Doom and Destiny is another good jRPG on Android TV. Implosion is a decent hack-and-slash game on Android TV. This one comes with a story line. Mankind is on the brink of extinction. Your goal is to save everybody, of course. The game features mechs, decent graphics, and solid controls. It plays well on Android TV. In fact, it probably plays better on there than on your phone most of the time. There is a free portion of the game. The whole thing costs $9.99. It’s one of the few good hack-and-slash games on Android TV. NBA Jam is a classic arcade basketball game that was originally released in the 1990’s. This game allows you to play two-on-two basketball where you score baskets, shove your opponents around, and hopefully go on fire. You go on fire by making three unanswered baskets by the same player and you’ll get a sizable stat boost for doing it. 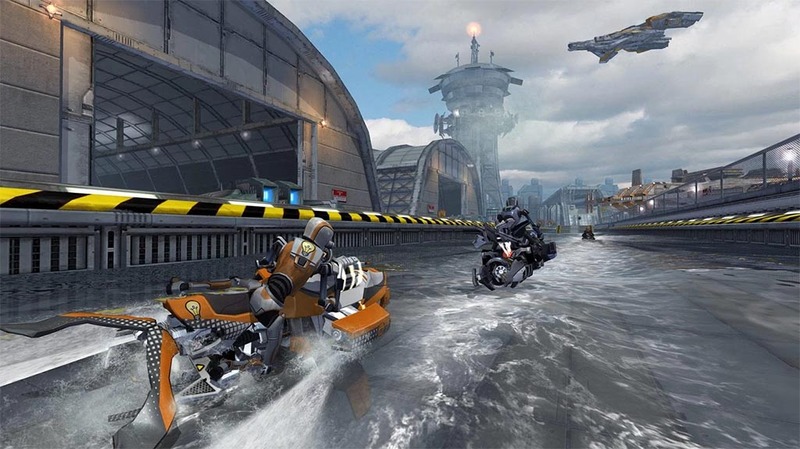 The game has online and local multiplayer modes along with a single player campaign. It’s one of the best sports games on Android and it works great on Android TV. We interrupt your scrolling for some shameless self-promotion! Orbia is a neat little arcade game. You shoot little puff balls through obstacles and to the targets. You hit the obstacles and you lose. It’s a fairly basic premise but it’s executed well. The game features colorful graphics, hundreds of levels, various characters, and multiplayer. Of course, it works well on Android TV as well. This one doesn’t actually require a hardware controller. Any remote should be sufficient to play this one. Pac-Man 256 is a modern spin on an old classic. You play as Pac-Man and you have to eat little white pellets as usual. However, this time a massive glitch in the system chases you along. Thus, you must make progress or you fail. There are dead ends, ghosts, and other obstacles as well. However, the game helps balance everything by giving you a bunch of power-ups as well. It’s a freemium game and closer to a runner than a traditional Pac-Man game, but we really liked it anyway. PBA Bowling Challenge is one of the few decent bowling games on mobile. It also has Android TV support. 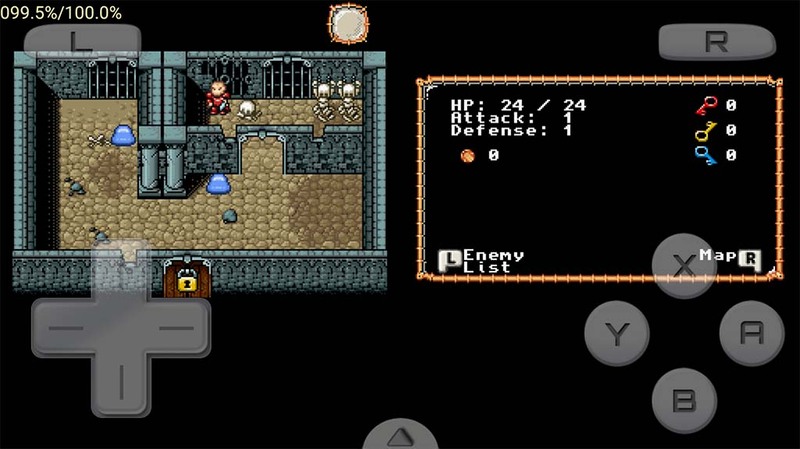 The game features above average graphics, simple controls, and more. You get three game modes. There’s a multiplayer mode, a career mode, and a quick play mode along with leaderboards and all kinds of other things. There are also tournaments and special events. It’s a freemium game and that isn’t optimal. However, this is another family friendly game with tons of stuff to do. Plus, it’s bowling. Who doesn’t like bowling? PewDiePie: Legend of the Brofist is actually a pretty decent little platformer. It features voice acting from the venerable YouTube star along with cameo appearances from other YouTube stars. The game also requires a bit of skill to play, but you’ll get better as you progress. It features epic boss fights, unlockable characters, some decent retro-style music, and various difficulty levels to keep things interesting. It’s a lot of fun, has no in-app purchases, and more. It’s definitely one of the better Android TV games. Real Racing 3 is one of only a few competently done racing games that are available on Android TV. This one is a freemium game which will no doubt chase some away, but thankfully it makes up for it by having beautiful graphics and tons of content. The game contains 140 cars, 17 tracks to race through, full-featured online multiplayer modes, and more. It’s been one of the best racing games for many years and it being one of the Android TV games that you can play is icing on the sundae. Just watch out for those in-app purchases. Skateboard Party 3 is about as close to a classic console skateboard game as you can get. The graphics are a little rough, but actually add to the aesthetic of the game. There is a free skate mode, a campaign mode, and a multiplayer mode. There are also achievements, customizable controls, 40 tricks, and a decent punk rock soundtrack. It’s very reminiscent of the old days of console skateboard games. It is a freemium game, but that’s about the only real complaint we have about it. Super Phantom Cat is a cute little platform game. It pay homage to the 8-bit and 16-bit platformers of yesteryear. The game features unlockable characters, plenty of levels, and other popular platform elements. It even has customizable controls, bonus levels, and more. It is technically a freemium game. However, nothing gets more expensive than $1.99. That’s extremely tame for a freemium title. It’s a great Android TV game and it’s even family friendly. Telltale Games have made some of the more enjoyable games of the last few years. They’re known for hits like Minecraft Story Mode, The Walking Dead, games, Wolf Among Us, and more. They have about a dozen Android TV games in total and each one utilizes episodic mechanics. That means you get the first chapter when you download the game and you have to purchase more. The games have good storylines, decent puzzles, and pretty good graphics as well. All eleven games should have Android TV support which would make them all excellent Android TV games. Several of them will give you the first episode for free so you can try them out before you buy the rest of the adventure. This War of Mine is one of the best Android games available today and was our choice for the best Android game of 2015. In this survival game, you play as innocent civilians caught in the grips of a city at war. Your job is to survive the encounter while losing as few people as possible. The game forces you to make some tough decisions and some pundits have even said the game “isn’t fun”, but totally worth playing anyway. It’s a little expensive, but it’s an unforgettable experience and is among the best Android TV games available, period. Unkilled is among the best FPS games released in the last couple of years. It’s a zombie shooter which means most of your gameplay will be missions where you must go and destroy some bad guys. It features a ton of bad guys, zombie bosses, and hundreds of levels to play through. Updates in 2016 added in online multiplayer support so you can now get online and play with others if you choose to. The graphics are phenomenal and we all know that that first person shooters are better played with actual controllers. It’s a freemium game, but it’s still pretty fun. Madfinger Games’ Dead Trigger 2 is another excellent zombie shooter on Android TV. If we missed any of the best Android TV games, tell us about them in the comments! You can also click here to check out our latest Android app and game lists!